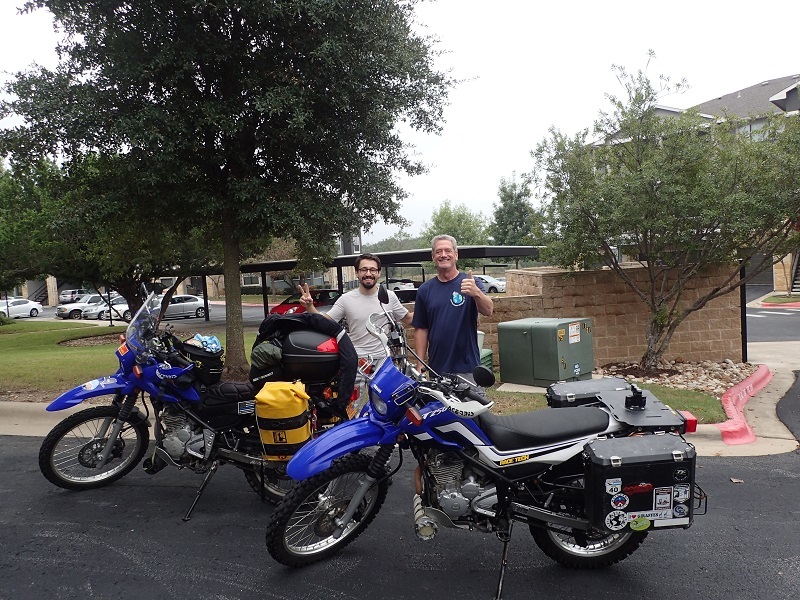 During the year I traveled across four continents on my little XT250, I received emails from others that had found my blog and were planning their own trips. Some already had a Yamaha XT250 and were glad to get some reinforcement of their decision to take it on such a long journey. Others were still deciding what bike to take. Many who choose/chose the XT are fairly new riders, and the bike offers them a low seat height and smooth, tranquil power. It’s also easy to work on, since it’s air cooled and uses a lot of “old-school” technology. Not everyone who chooses the XT is a “noob”. I typically kept my mouth shut during my travels, and let others “judge the book by its’ cover”…many, many times along my journey people assumed I was a beginner rider, and offered suggestions on riding techniques, packing, bike repair and prep, etc. A few times, at the end of my stay with them, and after nodding along and taking their advice, I would hand them my business card as I was leaving. It was fun to see the expression on their face change when they suddenly realized that I worked for Yamaha USA, and I usually then mentioned briefly that I had been riding and racing motorcycles my entire life…not just now and then or on and off, but pretty much every week since I was eleven years old. In many cases only then did they begin to truly understand and accept the advantages of such a small bike for the places I had traveled. 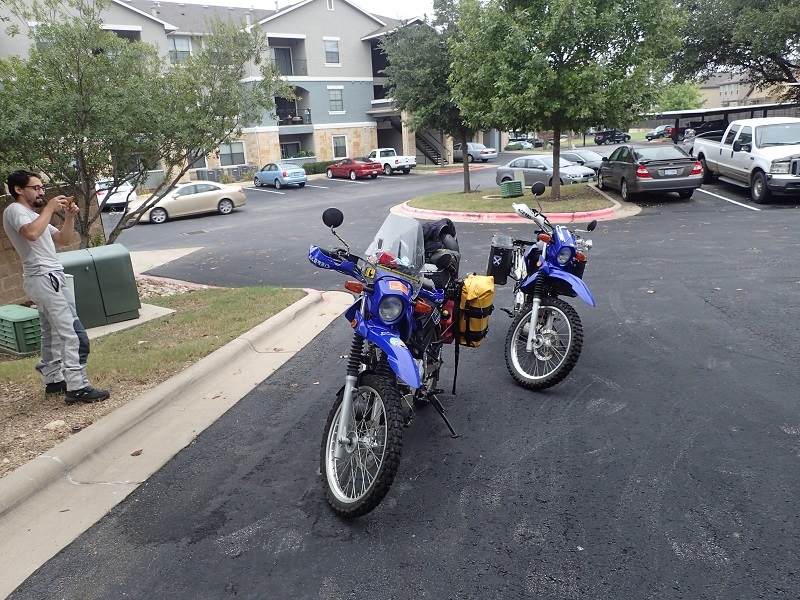 This past week, I had the pleasure of hosting another XT250 adventurer on a nearly identical bike. David stayed with me for a couple of days before crossing into Mexico. Comparing bike setup. Major differences: David has a windscreen, and uses Wolfman soft luggage. David lives in New York, but spent his early years in Colombia. He just recently decided to ride from the Big Apple to Bogota, and continue on to Ushuaia. This is his first bike, and he spent a good amount of time prepping it for the trip. His enthusiasm is definitely contagious. I wanted to load up and follow him. Just spending a couple of days talking about the trip made me even more homesick for the road. He’s traveling at a fast clip, especially for a 250, so I don’t think I could catch up to him if I tried, but who knows…will see where he is come the end of December and think about it more until then.